So brace up for more fireworks in the telecom sector in 2018. In the short run, it will also be good for consumers as data offers will get more attractive. In the long run, it will probably not be all that good because just two or three dominant players is never good for the consumer. The fag end of 2017 saw two big announcements in the telecom sector. The first was the 2G verdict by the CBI court, which acquitted all the accused and slammed the prosecution for not fighting the case properly or even presenting enough evidence. This has led to a number of players who had their 2G licenses cancelled asking for compensation. The other big announcement was the Reliance Jio- R Com deal which was announced just three days before the year ended. 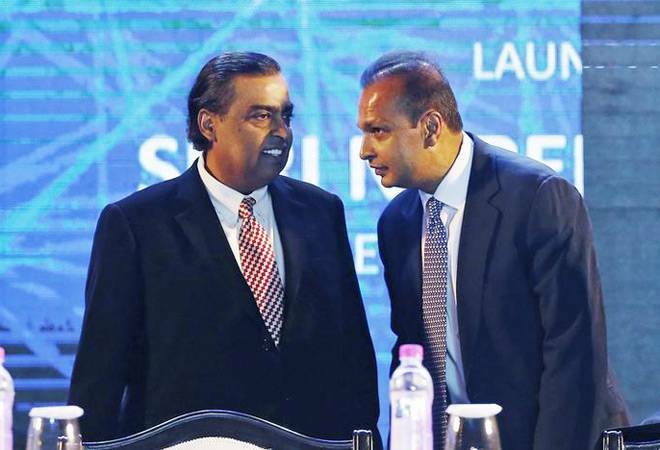 It envisages the Mukesh Ambani led Jio buying out 122.4 MHz of R Com's spectrum, 1.78 lakh route kms of optic fibre with a pan India footprint, 43,000 odd telecom towers and some 248 media convergence nodes for an undisclosed amount. Anil Ambani had earlier announced that the proceeds of this deal would go to repay much of R Com's debt. At the time of going to press, it was not clear as to how much Jio was paying for the R Com assets, though speculation was that it would be in the range of Rs 24,000-25,000 crore. While the deal seems win-win for both Jio and R Com, what does it mean for the telecom sector as a whole? I suspect it just means that the telecom war will enter its bitterest phase in 2018 between the three big players and the other two players will be completely marginalized. In 2017, we saw the consolidation of the telecom sector gathering pace with Vodafone and Idea announcing a merger (this will make them the biggest player in terms of customers and spectrum, if the current numbers of both players are taken). Meanwhile, Bharti Airtel has been adding to its own spectrum (and customers) by picking up Telenor and Tata Telecom spectrum. With the R Jio - R Com deal, we have three clear players with enough spectrum, enough customers, the correct technology and enough resources to duke it out for dominance of the telecom sector. The other two players - Aircel and BSNL - are bound to get further marginalized in this battle, because the game has now shifted exclusively to the 4 G arena, and neither of these two are significant players in that game. Will we see some sort of a truce between the big three and an end to the price wars. I suspect not. Jio is showing no signs of slowing down its charge and Bharti Airtel is equally clear that it will not cede its hard earned position in the telecom field. Vodafone and Idea by combining their forces have also become so big that they can slug it out.